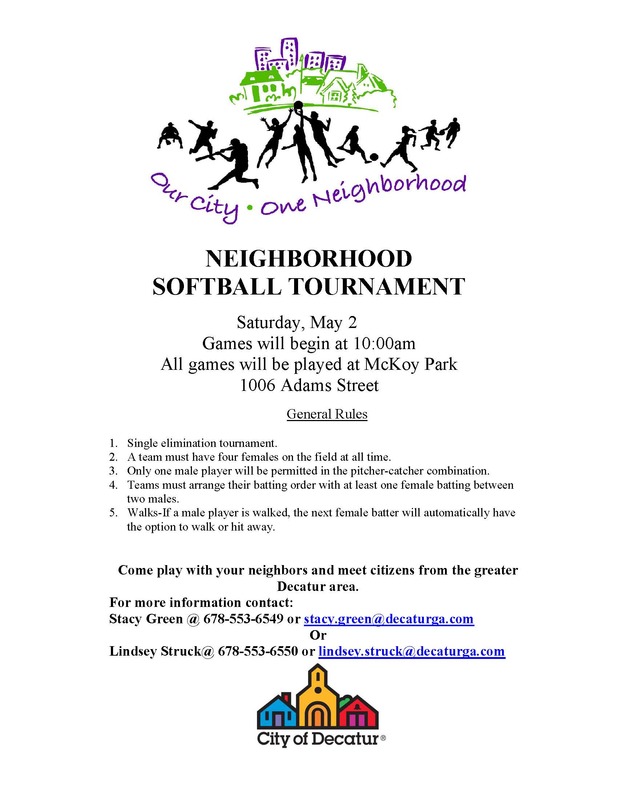 It’s Time to Get Ready for the Annual Neighborhood Softball Tournament! It’s that time of year for our annual neighborhood softball tournament. The tournament will be held on Saturday, May 2. It is a fun, coed, single-elimination tournament for teams with a majority of Decatur residents. It’s a great way for Decatur residents to come out and meet some of their neighbors. If interested or if you’d like some more information please feel free to contact Stacy.Green@decaturga.com or Lindsey.Struck@decaturga.com.